The Master Butcher (Louis Erdrich) – 255/365, BlackBerry 365, Minneapolis, Minnesota, September 2010, photo © 2010 by QuoinMonkey. All rights reserved. To celebrate the World Premiere stage adaptation of The Master Butchers Singing Club at the Guthrie, Liz and I have started reading the novel aloud to each other. I savor each moment. This will be second time I have followed Fidelis from Germany with his pristine set of knives and suitcase full of sausages, walked the streets of Argus, North Dakota with Delphine and Cyprian, and sat at the clean and ordered table of Eva Waldvogel. Seven years and some odd months later….we learned that Master Butchers was coming to the Guthrie and vowed to pick up tickets. A few weeks ago when we attended The Scottsboro Boys, we stopped by the ticket window and sealed the deal. Then Birchbark Books (the independent bookstore owned by Louise) announced on Facebook that it had a few signed, First Edition copies of The Masters Butchers Singing Club for sale. I returned home that evening to find the book gleaming off the coffee table. And there on the cover, in a photograph taken June 8th, 1912, in Pforzheim, Germany, was the Master Butcher himself, Louise’s grandfather, Louis Erdrich. Can you imagine having your novel adapted for the stage in such a prestigious venue as the Guthrie Theater? If the Guthrie’s photograph of Louise and her daughter on set before the preview opening on September 11th is any indication, it is a feeling of elation and pure joy. In my humble opinion, The Master Butchers Singing Club is one of her finest. I can only imagine that Louise’s grandfather would agree. It is a book about the importance of place and culture, a universal story. There is a way that Louise’s books honor those who came before her, generations of ancestry in perfect imperfection. As above, so below. So may it be. The Erdrich Sisters, Heid, Lise, Louise, Minneapolis, Minnesota, February 2008, photo © 2008-2010 by QuoinMonkey. All rights reserved. MPR Midmorning: From the page to the stage – The Master Butchers Singing Club. 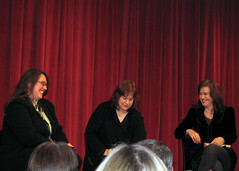 Kerri Miller’s interview this morning with Louise Erdrich and Francesca Zambello. 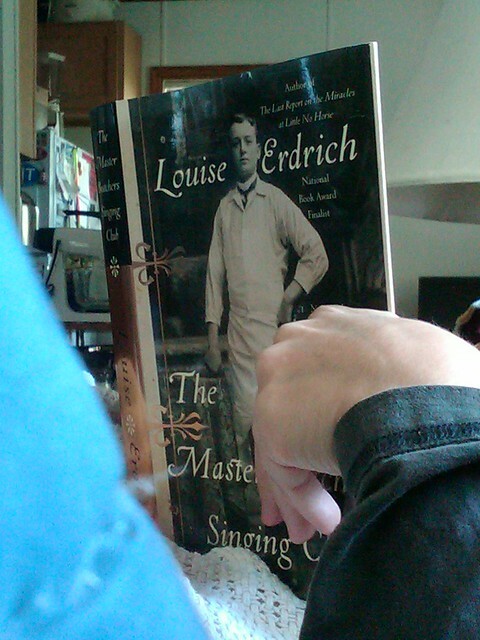 Minnesota Monthly Profiles Author Louise Erdrich, September 2010 – Staging Erdrich by Michael Tortorello including 5 Things You Didn’t Know About Louise. Play Guide, Interviews, and Ticket Info on The Master Butchers Singing Club at the Guthrie Theater. Louise’s bookstore, Birchbark Books where you can get your own First edition, first printing, hardcover of The Master Butchers Singing Club signed by Louise Erdrich, or the newly re-issued Fishing for Myth from Heid Erdrich. Louise Erdrich on Faces of America with Henry Louis Gates Jr.
-related to posts: The Company Of Strangers (On Louise Erdrich & Flying), Book Talk — Do You Let Yourself Read? A story is a way to say something that can’t be said any other way, and it takes every word in the story to say what the meaning is. You tell a story because a statement would be inadequate. When anybody asks what a story is about, the only proper thing is to tell him to read the story. The meaning of fiction is not abstract meaning but experience meaning, the purpose of making statements about the meaning of a story is only to help you to experience that meaning more fully. I’ve always been a fan of short stories. I subscribe to The New Yorker just to get a new one each week to read. Short stories are magical. So compact and full of emotion. The good ones draw you in immediately without you realizing it. They’re a mystery, really. I’ve wondered what it takes to make a good short story work ever since the first time I tried writing one, over 20 years ago. I can still remember the ancient-seeming Sabine Ulíbarri, one of my favorite Literature professors in college, raising a crooked forefinger into the air and saying that the short story began when something extraordinary happened in an otherwise ordinary life. Professor Ulíbarri’s seminar was held in a dim room—he didn’t like florescent lights—where a dozen or so students sat around a conference table and were so rapt by this physically small yet intellectually giant man’s charms that we endured his chain smoking. …endless access into another world, brought forth by an infinite number of gifted minds. A story about grief can comfort; a story about arrogance can shock and yet confirm; a story populated largely by landscape, whether lush or industrial, can expand the realm that we as individuals inhabit. The dilemma for someone like me, who would love to comfort, shock, confirm, or expand a reader’s realm, is how to make my stories do exactly that. I don’t have an answer. I haven’t succeeded yet, although, if the truth be known I haven’t tried to hard enough either. However, all that is about to change. I just refused to die as a person who had 30 pages of a novel in her drawer. The rest of this post is targeted to people like me who write and write and write yet rarely venture to send our works out into the world where those who’ve succeeded in the literary arena might judge them. I can understand the resistance. Writing is hard enough. Getting our work published is a whole ‘nother matter. But if like me you want to accept yourself as a writer, you may want to consider seriously pursuing getting your writing published in literary magazines. Right now I’m focused on the short story, but editors of literary magazines care about all kinds of writing. Literary magazines contain fiction, creative non-fiction, and poetry, and some even publish haiku, photography, the graphic narrative, and other art. 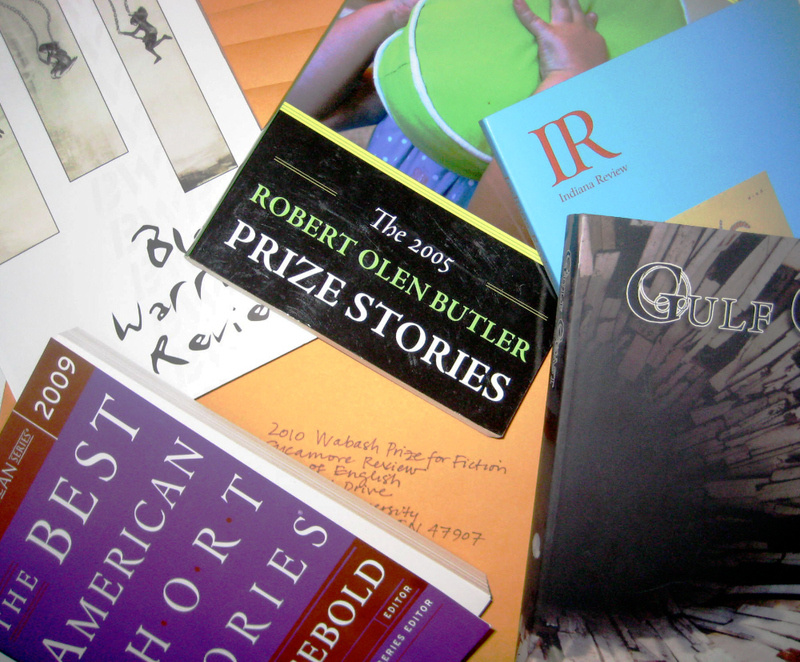 Why should we try to get our writing published in literary magazines? According to Poets & Writers, “most writers get the attention of editors, agents, and other writers by publishing first in literary magazines.” Not to mention, many of these venues offer great motivation in the form of cash awards. In fact, this is one of the best times of year to compete in writing contests—the stakes can be anywhere from a couple of hundred dollars to one or two or four thousand. I just spent a large chunk of this past three-day weekend submitting a short story to several contests. I wrote the story a few years ago and even though I wasn’t happy with it then, I sent it out back then to a half dozen literary magazines for consideration. Not surprisingly, it didn’t get picked up, so I stuck it into a drawer where it sat for a few years. Well, as often happens when you step back and stop thinking about a piece for a while (be it art or writing), I could see the weaknesses in the story when I looked at it anew. I spent several hours rewriting and editing until finally I had a piece I could be proud of. The next step was to send it out in to the world. I take writing and competition very seriously. I believe that all writers should compete—even if I now know this to be a quixotic quests—on a level playing field. The Poets & Writers website is an amazing place, well laid out and chock full of excellent information for figuring out where to send your work. The site has a “Tools for Writers” tab that shows deadlines for Writing Contests, Grants & Awards in both a Submission Calendar format and in a searchable database where you can filter by genre, entry fee, and timing. There’s also the Contest Blog, with frequently posted gems, including interviews with authors who have won contests in the past. NewPages.com—a website that touts the goodness of independent bookstores—also carries a list of Writing Contests categorized by monthly deadline. It has a list of hundreds of literary magazines—aptly named “Big List of Literary Magazines”—so that you can get a feel for those that fit your writing style and vice versa. It should be said, contests are not the be-all end-all of writing. Most important is getting your work published, which these sources provide just as much information about as they do contests and awards. But in the event you need that extra boost, now is an excellent time to vie for prizes. It’s tough for writers to write (and editors to edit) when faced with a shrinking audience. Once, in the days of the old Saturday Evening Post, short fiction was a stadium act; now it can barely fill a coffeehouse and often performs in the company of nothing more than an acoustic guitar and a mouth organ. When he was editor of The Best American Short Stories 2007, Stephen King declared that short stories were alive but not well. Literary magazines have over time been relegated to the bottom shelves of magazine sections in most big bookstores, and even there only a few titles can be found. So do your part. Read, write, edit, and submit. Then do it again and again. Do research to determine which publications are right for you. In other words, know your market. Read about the contributors to compare their backgrounds and interests to yours. Make sure to read the Submission Guidelines for each magazine. They differ. Some will accept only online; others only accept hard copies sent by mail. Some want 12pt. font with one-inch margins. One might have a word count, another a page count. Specifically look for guidance on simultaneous submissions, meaning submissions of a single work to more than one journal or contest at a time. Most of the literary journals that I submitted to allowed for simultaneous submissions but asked to be informed immediately if the submission gets picked up by or wins somewhere else. Some literary journals request cover letters and others do not. 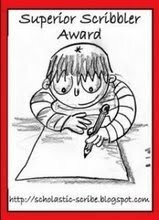 Some contests are done as a “blind review,” meaning that any identifying information about the author is stripped off during the actual reading/review. Poets & Writers suggested that where a cover letter is requested, try not to “discuss the merits or themes of the work you are submitting” but use the cover letter instead to provide a short bio and any past publication accomplishments. Finally, beware of Writing Contest scams. My advice, and mind you this is only my advice, is to use a source that you trust (the way I trust, for example, Poets & Writers) to identify true literary journals and the contests they run. Others may be designed to simply get your dollars for a submission or reading fee. For Christmas I got the 2009 Page-A-Day Book Lover’s Calendar, which features a different book each day. Guess which author turned up on the page for Wednesday, January 14? Isabel Allende and her book Inés of My Soul. I’ve never read that book, but based on the Page-A-Day write-up, it is a passionate love story that takes place in 16th Century Spain and Latin America—a sort of hot and spicy romance set in rich historical times. Which, I suppose, is why the title for the page is CHILE CON CARNE. Or, I suppose it could have just been a play on the word Chile, being that Isabel Allende is de Chile and that Doña Inés, protagonist of the featured book, ends up in Chile with Don Pedro. No matter what the origin of Book-A-Day’s title is, I thought I’d provide my mother’s Chile con Carne recipe here. That way you can make a pot of steaming green chile stew to savor along with the heat of Doña Inés and Isabel Allende. Chile con Carne, otherwise known ’round these parts as Green Chile Stew, is best made in a crock pot so that the flavors can simmer all day long and the meat becomes very tender. First cut the pork into small chunks. (You can also use beef or chicken, but Mom always makes it with pork.) Brown the pork in oil in a large pan on the stove, along with a couple of cloves of chopped garlic and a whole chopped yellow onion. In the mean time, have your crock pot heating up. After the meat is brown, add about a tablespoon of flour for thickening. (If you want a gluten-free version, use soy or rice flour.) Then add about four cups of water to the meat, and once the water starts boiling, put the whole thing into the crock pot. Let the meat cook all afternoon, and about two hours before you’re going to serve the stew, add in the potatoes, peeled and chopped. (I like to cut mine into medium-sized pieces, not too small and not too big.) Also add the chopped green chiles, and 3/4 of the package of frozen corn. You may need to add more water. Season with salt and pepper. Simmer on low for another two hours, and it’s ready to go. NOTE: You can add fresh chopped tomatoes or any other vegetables, but the stew is wonderful with just the few simple ingredients above. In a cultural moment when we are hearing nothing but bad news, we have reassuring evidence that the dumbing down of our culture is not inevitable. Good news from the National Endowment for the Arts. According to a report it released today, “Reading on the Rise: A New Chapter in American Literacy,” fiction reading increased for adults for the first time after a quarter-century of decline. …the proportion of adults 18 and older who said they had read at least one novel, short story, poem or play in the previous 12 months has risen. Wooo-hooo! People are reading again. Fiction accounts for the new growth in adult readers (unfortunately, reading of poetry and drama specifically has continued to decline) and online book reading has gone up (something I personally can’t get into). Also up is reading among younger adults (ages 18-24) and Hispanics. ¡Viva! Mr. Gioia attributed the increase in part to programs the NEA has underwritten, such as the “Big Read,” which is a library partnership to encourage communities to champion particular books, like The Great Gatsby by F. Scott Fitzgerald. Not to put too much of the credit on our shoulders, but I think blogs that encourage reading (see our post “Book Talk – Do You Let Yourself Read” as one of many examples, and “The World According To Mr. Schminda (et al. )” for a list of about 100 must-read classics) have also played a small but vital role. Just peruse some of the links on our blogroll and you’ll see several fellow bloggers reviewing classic works of fiction or otherwise touting books and reading. And these are just a handful of the thousands of literary-minded blogs that have cropped up over the past couple of years. I know I’m doing my part in countering the dumbing down of America. Right now, I’m reading the first Stephenie Meyers book in the Twilight series outloud to my youngest (one could argue it’s not exactly high literature nor age-appropriate for a nine-year-old, but hey, it took us more than three months to finish The Hobbit last year, and already in four nights we’re one-fourth of the way through Twilight). What about you? What book or books are you reading in this new year, and have you consumed more fiction of late than in the past? If so, what has compelled you read more? Isabel Allende, a portion of the book cover from Allende’s memoir Paula, (colors manipulated), photo © 2009 by ybonesy. All rights reserved. 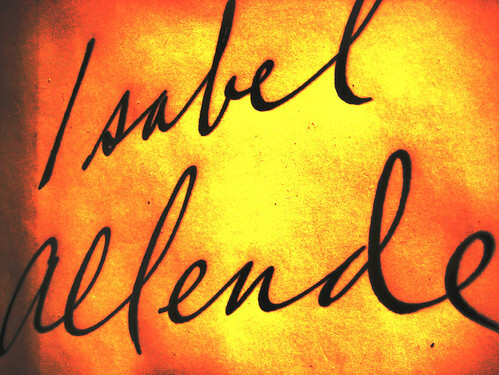 Yesterday all day I thought about author Isabel Allende. In 2008 I read two memoirs from the large collection of fiction and creative non-fiction that she’s written: The Sum of Our Days—published last year—and Paula (1995). I hadn’t read any of her works in the almost twenty years since I devoured and loved her first novel, The House of the Spirits (1985). The reason Allende was on my mind yesterday, January 8, was because that is the date each year that she starts a new book. That was the date back in 1981 when she received a phone call from someone in her native Chile saying that her grandfather, Tata, was dying. She was living in exile in Venezuela—her uncle and Chilean president Salvador Allende had been assassinated years earlier—and she summoned the ghost of her grandmother to help her beloved Tata. I decided to write him one last time, to tell him he could go in peace because I would never forget him and planned to bequeath his memory to my children and my children’s children. To prove it, I began the letter with an anecdote about my great-aunt Rosa, my grandfather’s first sweetheart, a young girl of almost supernatural beauty who had died in mysterious circumstances shortly before they were to marry, poisoned either by error or malice, and whose soft sepia-tone photograph always sat on the piano in Tata’s house, smiling with unalterable beauty. …on the periphery of literature…without daring to confess my true calling. I would have to publish three novels translated into several languages before I put down ‘writer’ as my profession when I filled out a form. She carried the papers with her in a canvas bag, and when the bag became heavy and she had 500 pages “whited out so many times with correction fluid that some were stiff as cardboard,” she knew she was almost finished. In two days, after several earlier tries, she wrote the ten pages of epilogue. That first novel became an international sensation, a dense epic about the Trueba family, written in the genre of magical realism that characterized the works of so many Latin American novelists—think Gabriel García Márquez and the Buendía family of One Hundred Years of Solitude. I was living in Spain when The House of the Spirits came out but didn’t read it until I returned to the U.S. and began studying about Latin America in a Masters degree program. The writing was fluid and floral, the sentences long and paragraphs thick. There were so many details and people and places that it was like making my way through a labyrinth, but I read it day in and day out, perhaps over two or three weeks, often re-reading sections I felt I hadn’t absorbed fully the first time. Why it took me all these years to pick up another Allende book, I can only say that there was so much literary terrain to make up that I was overwhelmed to the point of paralysis as to who to read next. Allende wrote sixteen books after her debut novel, and each time I saw a review or otherwise heard news of a new title being published, it would register that I should take up with her again. When an exuberant neighbor kept me in the parking lot of the post office for almost an hour this past summer gushing about Allende’s new memoir, The Sum of Our Days, which he’d checked out of the local library, I had no recourse but to take it on as my next book to read. In fact, he said he would place it on hold in my name the moment he returned it to the library, so soon the calls started coming that my book was waiting for me. The writing in that memoir was so powerful, so magnetic, that it didn’t take me long to finish the book. The Sum of Our Days picks up with Allende’s life after the tragic death of her daughter, Paula. It tells the story of her “tribe”—her son and his wife who leaves him to be with a woman, her mother and step-father, her new husband who gives her a reason to finally let down her guard and allow herself to be cared for and loved. The book gave me reason to immediately want to read the memoir Paula, which told the story of Allende’s daughter and the mysterious illness that took her young life (she was about 30 years old when she died). But it also tells the story of Allende’s own intriguing life, her family in Chile and the coup that forced her out, her first marriage and several careers. Allende’s pain was evident in that book, as was the strength it must have taken to be alive to her daughter’s death. Allende is a writer’s writer, the kind of powerful force who inspires other writers. The two memoirs I read taught me as much about writing as any workshop or books about writing ever have. I want to go back and read everything else she’s written. I want to know what emerges from January 8, 2009; I can be certain she has started a new story, a new book, just as I can be certain that the sun rose and set yesterday. I began Of Love and Shadows on January 8, 1983, because that day had brought me luck with The House of the Spirits, thus initiating a tradition I honor to this day and don’t dare change; I always write the first line of my books on that date. When the time comes, I try to be alone and silent for several hours; I need a lot of time to rid my mind of the noise outside and to cleanse my memory of life’s confusion. I light candles to summon the muses and guardian spirits, I place flowers on my desk to intimidate tedium and the complete works of Pablo Neruda beneath the computer with the hope they will inspire me by osmosis—if computers can be infected with a virus, there’s no reason they should be refreshed by a breath of poetry. In secret ceremony, I prepare my mind and soul to receive the first sentence in a trance, so the door may open slightly and allow me to peer through the hazy outlines of the story waiting for me. Isabel Allende press photo © 2008 by Lori Barra. Do You Do Opening Nights? 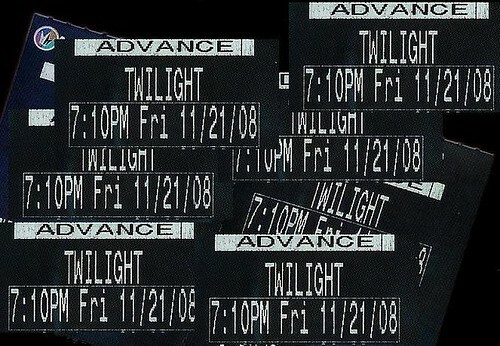 Twilight Advance, advance ticket for opening day of Twilight, the long-awaited film adaptation of Stephenie Meyer’s young adult hit series, image © 2008 by ybonesy. All rights reserved. Twilight opened at midnight last night, and I imagine theaters everywhere were filled with teenage girls dressed in black. My teen didn’t make it; today was a school day. But guess who has a ticket for a showing tonight? Yep. The way I see it is, these are the things that eventually become memories when today’s kids get to be our age. Standing in line for over an hour to get a good seat in the theater on opening day of Twilight, or sitting two rows from the front of the screen and being unable to straighten your neck when the movie ends. Sweet. I don’t remember standing in line as a kid to be among the first to see a movie or to buy a book. Maybe life was simpler then and less sales-driven. Or maybe my parents just wouldn’t stand for such nonsense. I’m pretty sure it’s the deprived child in me that now indulges my daughters and last year endured the torture of standing—or, rather, leaning—in line, half alseep at one in the morning, so I could fork over $24.99 to a testy cashier and get Dee’s copy of the long awaited Harry Potter and the Deathly Hallows. What did we have that was even slightly similar? My older sisters swooned over The Beatles and Elvis, although I don’t think they ever made it to a concert. Jim remembers going to see 2001: A Space Odyssey on his 13th birthday, although it wasn’t opening night. “Nah, we never went to openings when I was a kid.” And in general, we still avoid the crowds that come with any opening night. Although, Em reminded Jim that we all went to see Wall-E the first night it opened this past summer. We were in Taos for the Taos Solar Festival, and on a whim the Friday night we rolled into town, we decided to go see Wall-E. We sashayed on in, bought our tickets, and sat smack dab in the middle of a mostly empty theater. We couldn’t believe our luck. No way we would have ventured to an Albuquerque theater for opening night of any movie, not even a Disney Pixar one. But some people love the excitement of being among the first. It’s kind of like making history. Or, like I said, making memories. How about you? Do you move with the throngs or do you hang back until the crowds thin? -Related to posts My Kid Got Bit By Stephenie Meyer and Stephenie Bit Me, Too! Two old author friends, beloved by generations of readers and pranksters alike, came together for a brief reunion on red Ravine to talk about the challenges of publishing and staying relevant in today’s world. I.P. Freely: It’s been ages, Seymour, ol’ boy. What have you been doing?? Seymour Butts: Likewise, I.P. What a pleasure to see you! Well, I never got married—just a perennial bachelor, I suppose. I live with my brother Harry and write books. Pretty sedentary life. Oh, although I just published a new book, inspired by the current financial crisis and the sudden rise of “Joe the Plumber.” It’s called Under the Sink, and it’s the first bestseller I’ve had since Under the Bleachers. Freely: You don’t say?! Congratulations! Don’t tell me you’ve not been writing for that many years, though. Under the Bleachers must have been at its pinnacle back in the late 1970s. Butts: You’re right, I.P. I wrote a lot of other books since then but none took off. I had a whole series—In the Locker Room, Women’s Sauna, Memoir of a Proctologist—but for whatever reason, they never made it out of manuscript. It was a bum deal, and I was pretty sore for a long time. How about you? Freely: Well, Yellow River was great while it lasted, but it set off a host of copycats, notably A River Runs Through It. I was disappointed, of course, that Brad Pitt passed over our film script—in fact, that was a real pisser, but such is life. I had some blockage after that, but things finally got moving. I met a great woman, Toots, and we’ve been married for 15 years. Butts: Hey, I noticed that red Ravine used your name for a title on a post about bathroom habits and stress incontinence. That might generate a stream of opportunities for you. Freely: Doubtful, although I was pleased to see ‘em pick it up. Hey, I heard through the grapevine that “Seymour Butts” was the other title they were toying with. That would have been a nice plug for you. Butts: Oh, indeed. It would have worked, too. Oh well, win some and lose some, or, as I say, see some and see none. It’s been grand talking to you, I.P. One last thing, do you see Mister Completely any more? Freely: Nah, he got really depressed after his sole book, Hole in the Mattress, was such a downer. He and the Missus got a divorce. Butts: Ah, that always a risk. Writing—it’s a hard life. Freely: That it is, Seymour, that it is.